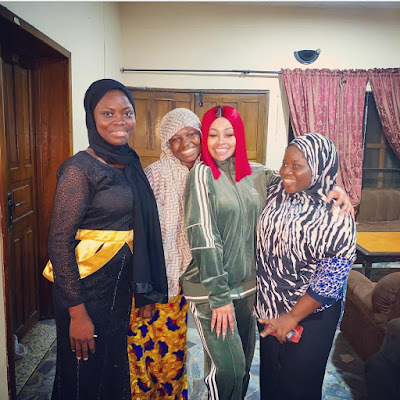 Photos and Video; #BlacChyna donates to orphanage on visit to Nigeria. Blac Chyna has been in the news these past few days for heading to Nigeria to sell bleaching and whitening creams. Chyna who collaborated with well known whitening cream merchant Dencia,launched her range for the first time in Lagos Nigeria. Despite receiving so much flak,the reality star went about her hosting gigs and skincare launch and then found time for some charity work. 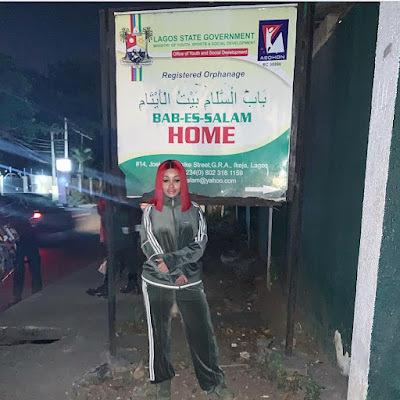 She visited and donated to the Bab-Es-Salam orphanage while she was in Lagos..